Curriculum vitae (CV) or resume is often the first contact you make with a potential employer, and has the purpose to introduce you to someone who does not know or does not have time to meet you. A well-written resume is sometimes crucial for deciding which candidates will get the job, so make sure to increase your chances of getting a job by sending a quality CV. From personal data according to name, address, telephone number or cell phone and email. If you are able, even if not explicitly requested, with CV attach your photo from the identity card or passport. Indicate that you have finished school, from when to when you’ve attended, your degree. Average grade in school emphasize only if it is good and if you do not have a college degree. If you finished college, specify the name of the college, a place where you studied, from when to when you study, and where you graduated. Indicate additional classes that you attended, did you attend summer schools and seminars, training, etc. Provide awards, diplomas and awards, seminars and conferences in which you participated, especially if they have a connection to your workplace for which you are applying. Specify all the jobs that you have dealt with. For each job, highlight the job title, name and address of the company or organization where you worked, length of employment, the position where you worked and what were your duties, responsibilities, what you learned there, what skills you have acquired. Please include part-time and volunteer work you did. Work experience that is not particularly relevant to the position you are applying for, no need to emphasize and describe, just to mention. List all your languages​​, specifying how well you know the language (beginner level, intermediate level, advanced level, knowledge of writing, reading and speaking). Also, please indicate if you have completed a language course and a diploma. Using a computer – write all the programs you know how to use, including use of the Internet, and determine their level of knowledge (beginner, intermediate, advanced, expert level). If you have completed the course, be sure to specify. Also in this section, please indicate whether you have a driver’s license. After the introductory section in which you have presented yourself, it is necessary to write a few sentences about your skills and knowledge. Be objective and brief. List only those skills that you can really prove it and do not go into detail. Not too broad, not too short. There is no perfect resume because people have different working experiences and qualifications. But it is important to write the CV of basic information about you and your work. Don’t write about irrelevant details. Employer is not interested in everything that you have worked in the past. It is important that before you write your resume read what the employer asks and highlight those skills, knowledge and qualifications that can stand out from other candidates. CV must be clear and structured. Ability to design a good structure CV indicates an organized person. Unit should be clearly separated, that when employer first look at the document can see clearly where things are. Information should be listed chronologically – the rule is that you first mention recent data and then gradually go into the past, stating. Do not add documents that are not required (this does not apply to sending a cover letter). 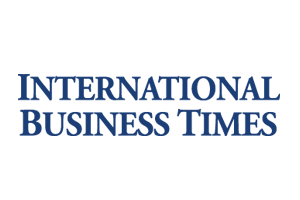 The employer will emphasize in the ad all that belongs to the tender documents, so it is not recommended voluntarily sending various diplomas, certificates or recommendations. Below we are listed some examples of professional Curiculum vitae (CV) templates for download. The perfect way to make the best impression. Strong typographic structure and very easy to use and customise. The resume have a very organized and named layers, really easy to customize. Editable in MS Word. Download here. Resume is simple and clean, easy to be edited and designed to make such a good impression. Resume will help you to stand out and get hired. Editable in MS Word. Download here. 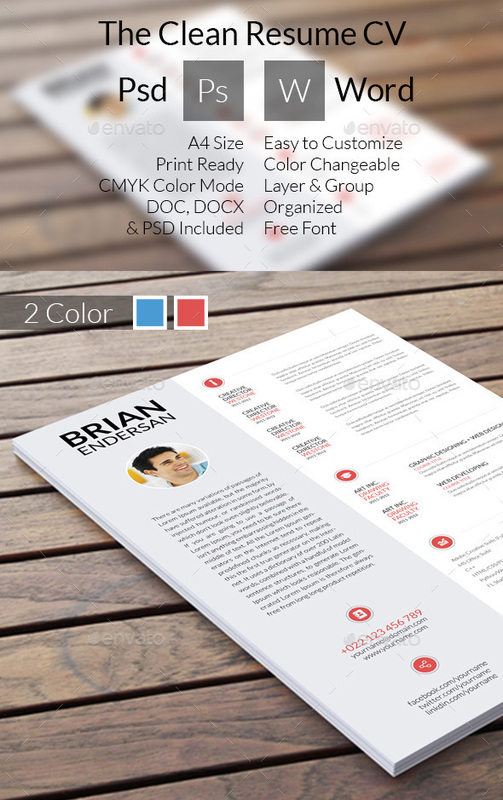 CV – Resume template. Strong typographic structure and very easy to use and customise. Editable in MS Word. Download here. The perfect way to make the best impression. Strong typographic structure and very easy to use and customise. Complete Resume/CV template including 7-page Resume (with cover letter and portfolio pages. Prepared in International A4 and US Letter sizes in InDesign, Photoshop, Illustrator, Microsoft Word and iWorks Pages. Download here. Rebrand yourself! There is no second chance to make a first impression! Create a strong impression with this professional resume set: CV, Cover Letter, 2 versions of Portfolio. They are two main themes: Light and Dark each of them came on 3 colors (red, blue, green), all available in A4 and US letter. Editable in MS Word. Download here. The perfect way to make the best impression. Strong typographic structure including baseline grid and image alignment to text leading. Very easy to use and customise, extensive help file included. Complete Resume/CV template including 2-page Resume, Cover Letter and Mini-Portfolio. Includes InDesign, Microsoft Word and Photoshop files in International A4 and US/Canada Letter sizes. Download here. RESUME is the perfect way to make the best impression. Strong typographic structure and very easy to use and customize this cv. The resume has 2 different file formats Adobe Photoshop and MS WORD (2003-2007-2010), so you can use the software you are most comfortable with. The resume templates are clearly organized and labeled so you can be confident in getting the best results in the fast possible time. Download here. FEATURES: 2625× 3375 pixels (8.75×11.25 inches) • Print Ready (CMYK, 300 DPI) • 3 Different Colors • Easy to change Color • Well organized and named layers • Easy to edit and fully customizable in (PS CS4 & MS WORD 2003 or Latest) • All text are editable • Main file include (3 PSD CS4 Files) (1 MS WORD (DOCX) file) and (Help file). Download here. Features: 300dpi; A4 size with .25in bleed; CMYK Color mode(only this one is suitable for print template); Organized by Layers and Groups; Print Ready (just edit as you need and save as pdf. Now it’s ready to print out). Editable in MS Word. Download here. The perfect way to make the best impression. Strong typographic structure and very easy to use and customise. The resume have a very organized and named layers, really easy to customize. FEATURES: Fully Layered PSD file. Fully Customizable and Editable. Page size A4 (210×297mm). CMYK @ 300 DPI – Print-ready. MS Word included(.docx & .doc). Download here.